As a mother she has celebrated the same joys and cried over the same mishaps. Maternity and paternity are universal feelings that have nothing to do with your profession. This thought has led her to confront her own demons and come to the realization that we’re all in it together in our daily struggle; sooner or later we all pass through the same stations along the line. 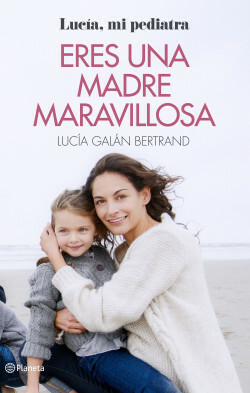 After the success of The Best of Our Lives, Lucía Galán offers an unfiltered, raw look at maternity with honesty and self-criticism, sharing the things that everyone feels but no-one wants to say. Because only when we bravely face up to reality can we give the best of ourselves. Being a parent is the greatest responsibility we face in our lives. Are you ready? Stories that have left a permanent mark on her heart, which she shares in this book and meeting women and men learning how to be parents as they go.